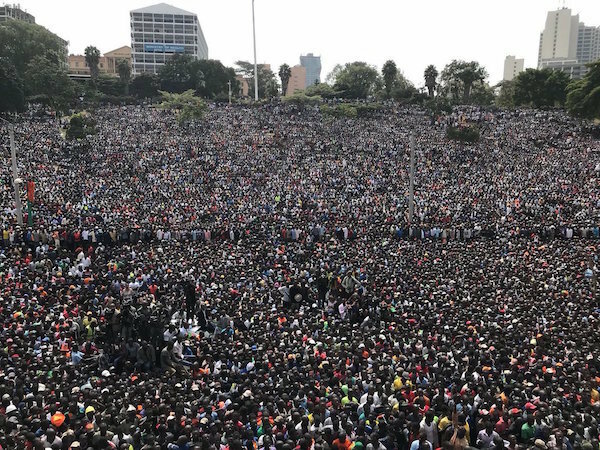 Kenyan opposition leader Raila Odinga held a mock inauguration Tuesday in front of tens of thousands of supporters, as the government sparked outrage by shutting down key media broadcasters covering the event. 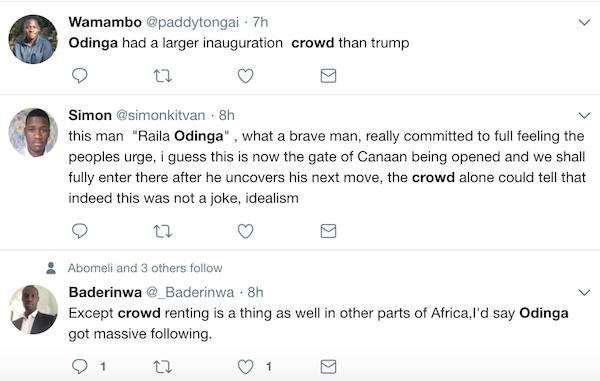 Authorities have repeatedly warned that such an inauguration was treasonous and that Odinga could face arrest. 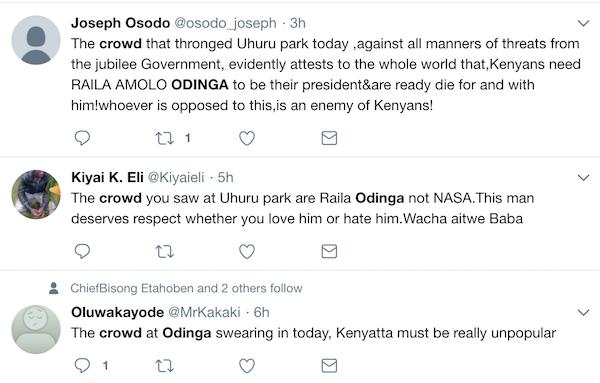 However as the wording of the oath was different to that in the constitution, the consequences of Odinga’s act of political theatre were unclear. 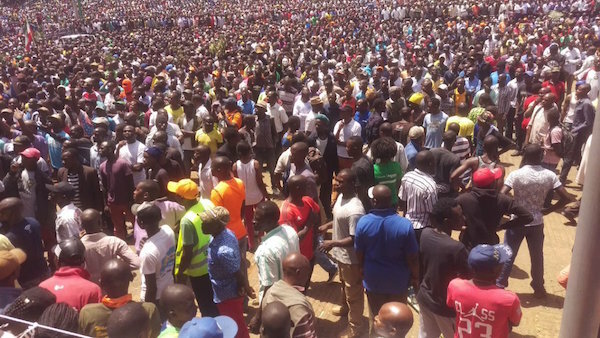 “I Raila Amolo Odinga, in full realisation of the high calling, assume the office of the People’s President of the Republic of Kenya,” he said in the brief and chaotic ceremony, prompting the sea of people to erupt with joy. 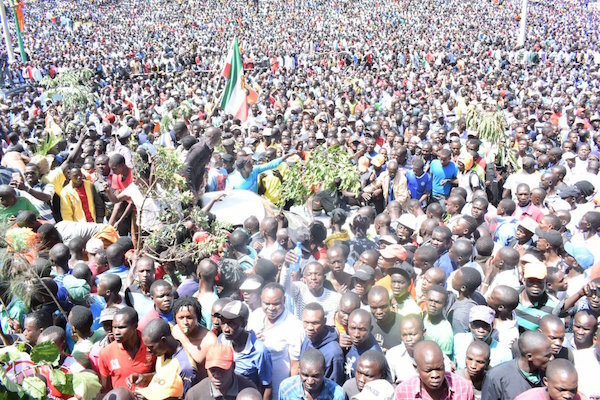 “We have accomplished our promise to Kenyans,” said Odinga, 73, who was not accompanied by his three fellow leaders of the National Super Alliance (NASA) coalition. 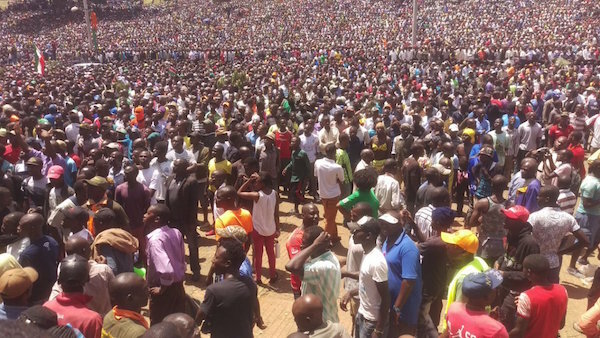 Afterwards he quickly departed and the packed venue emptied out in minutes. 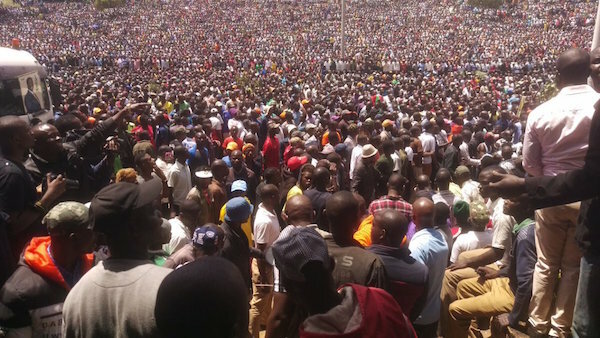 Kenyans have been talking about the massive turn out.